There are a lot of people who are against the #BBC SOS plan who's views are being ignored. BBC SOS have their own agenda, time limit and condition of their 'Gift' to rescue this poor community ... Our problems on the 23 acres are the decades of miss management by Westway 'Trust'. This deal was decided behind closed doors before any public consultations took place, which took into no account the history of the Bay20 land, previously Carnival Industrial Enterprise before RBKC council forced them off with plans to build car park that never happened ... Steel Pans ended up literally dumped on the street. 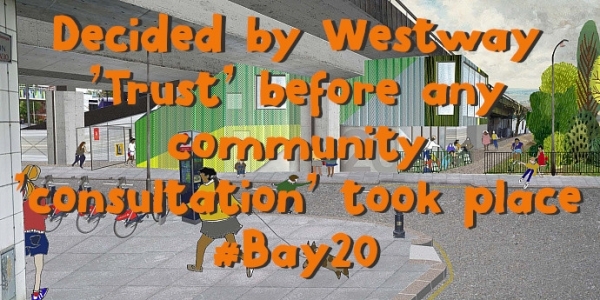 #BBC SOS and #WestwayTrust have also ignored #LatimerCity, that has the potential to offer many community run services that are now being proposed on #Bay20 - community cafe, meeting rooms etc. They ignored campaigners who have been scrutinising WT management and fighting for a number of years to bring back community emphasis and representation in the WT management, which has lead to many changes in the Trust that locals are now benefiting from: Community appointed trustee, two new community worker (45k) roles ... and possible soon celebration of the return of the beloved stables. 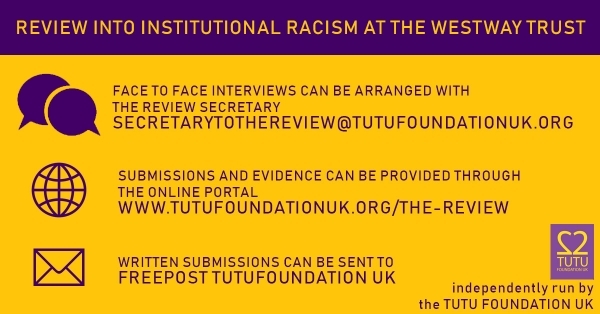 Series of so called 'consultations'.